David Littleton was born November 4, 1959, in Colorado Springs, Colorado. 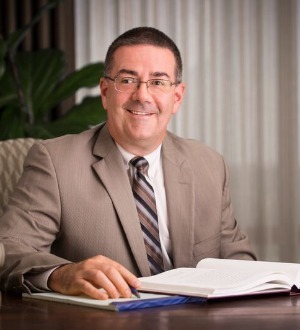 He is a partner in the firm of Anderson, Murphy & Hopkins, L.L.P., and has been a litigation specialist with the firm since 1996 with emphasis on medical malpractice, professional malpractice, nursing home litigation, property and casualty defense, and insurance coverage matters. Prior to entering law school, he was Manager of Information Systems for ten years at Home Loan Bank in Dallas, Texas. David is licensed to practice in Arkansas, the United States District Courts of the Eastern and Western Districts of Arkansas, the Eighth Circuit Court of Appeals, and the United States Supreme Court. David may be contacted by telephone at 501-210-3610 or by email at littleton@amhfirm.com.